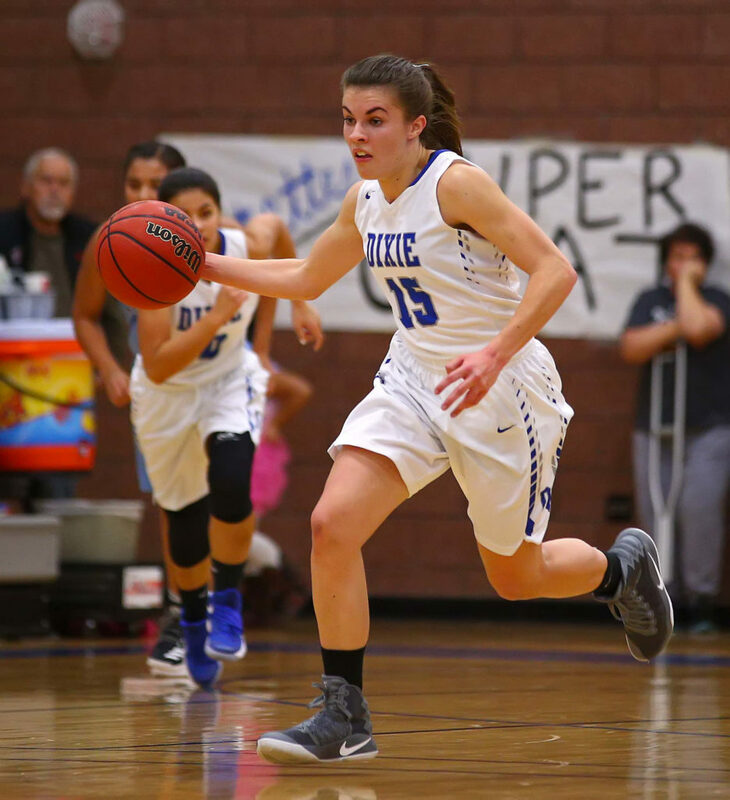 ST. GEORGE – The All-Region team for Region 9 girls basketball was announced this week. This year, two players shared MVP honors. 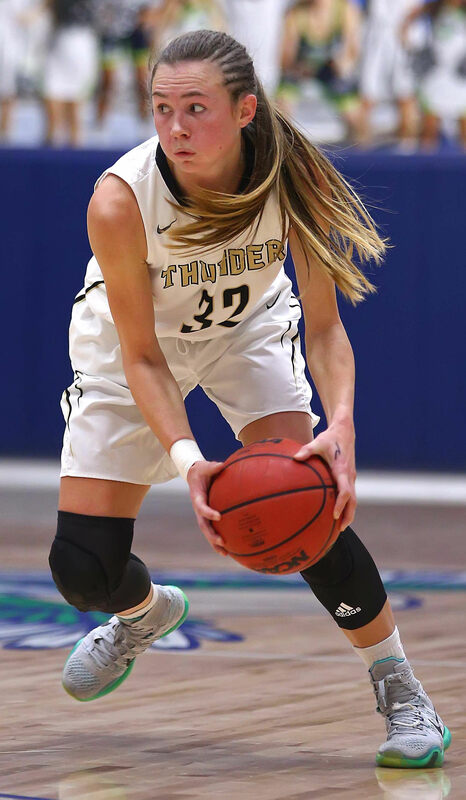 The award was split offensively and defensively and shared by the Desert Hills Thunder backcourt of Ashley Beckstrand and Morgan Myers. Beckstrand was the Region 9 preseason selection for MVP. She is a four-year starter for the Thunder and won a state championship as a freshman. This year Desert Hills was ranked No. 1 entering the state tournament, though the Thunder fell in the quarterfinals. Beckstrand led 3A in scoring with an average of 19.1 points per game. She committed to play for BYU earlier in the year. Myers was selected as the region’s defensive player of the year. She averaged 3.2 steals per game and got numerous deflections with her long arms and agility. 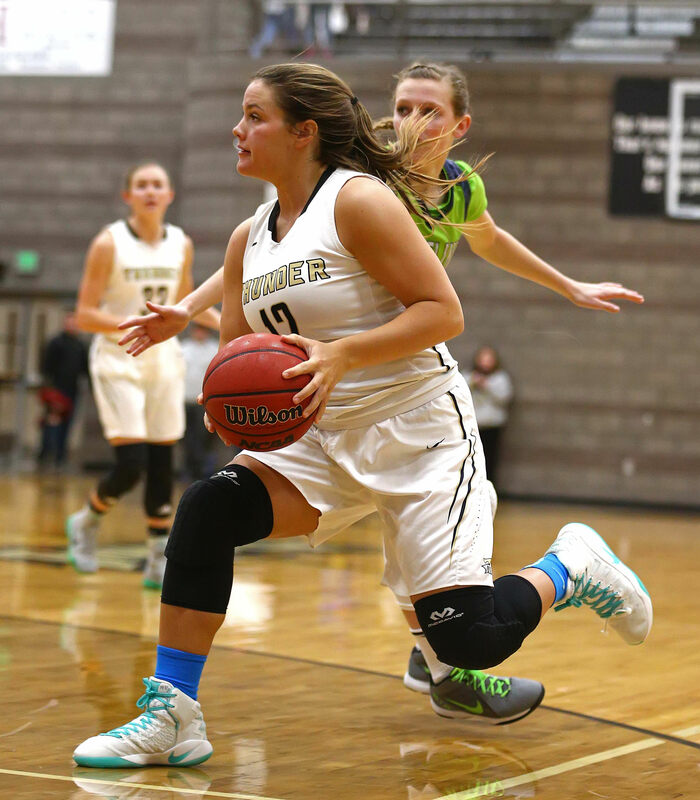 Myers joined Beckstrand in the Desert Hills backcourt after playing at Cedar her first three years. Last year she played in the state championship game, losing to Snow Canyon. Myers committed this past week to Dixie State. 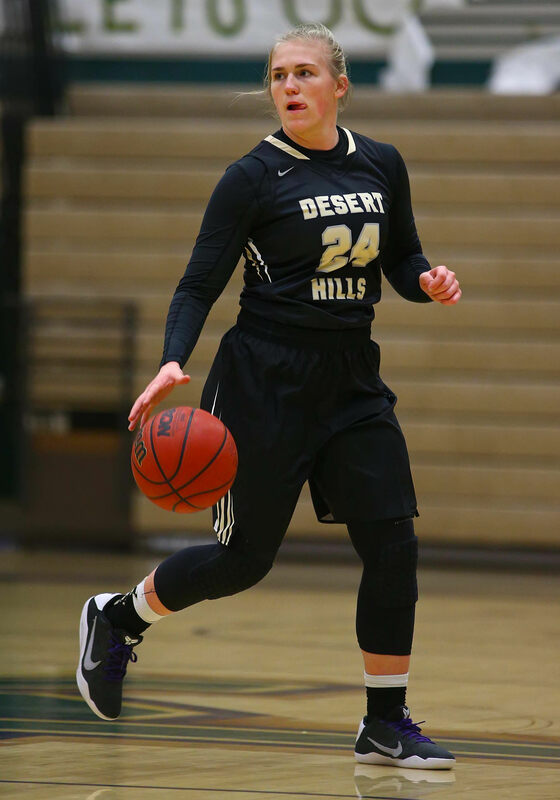 Elly Williams was also a first-team selection from Desert Hills. The senior forward averaged 9.3 points and 6.4 rebounds a game for the Thunder. From Dixie, guard Kelsea Barker was selected as a first-teamer. Barker was second in the region in scoring at 14.5 points per outing. She also averaged 4.3 rebounds and 2.2 steals per game. Cedar made it to the state quarterfinals, eventually falling to Richfield. Guard Lindsey Robinson was a big part of the Lady reds’ success and was selected to the Region 9 first team after averaging 8.4 points, 3.9 rebounds, 2.6 assists and 2.5 steals per contest. 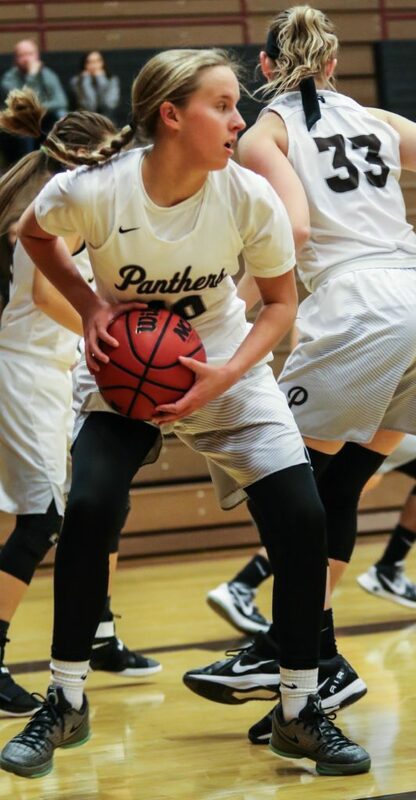 Pine View junior guard Claire Newby is also a first-teamer after averaging 11.8 points, 7.1 rebounds, 2.9 steals and 1.7 blocks. The final first team all-Region 9 selection was Hurricane’s Jayden Langford, the junior guard for the Tigers. Langford averaged 12.1 points, 5.6 rebounds and 2.3 steals per game. 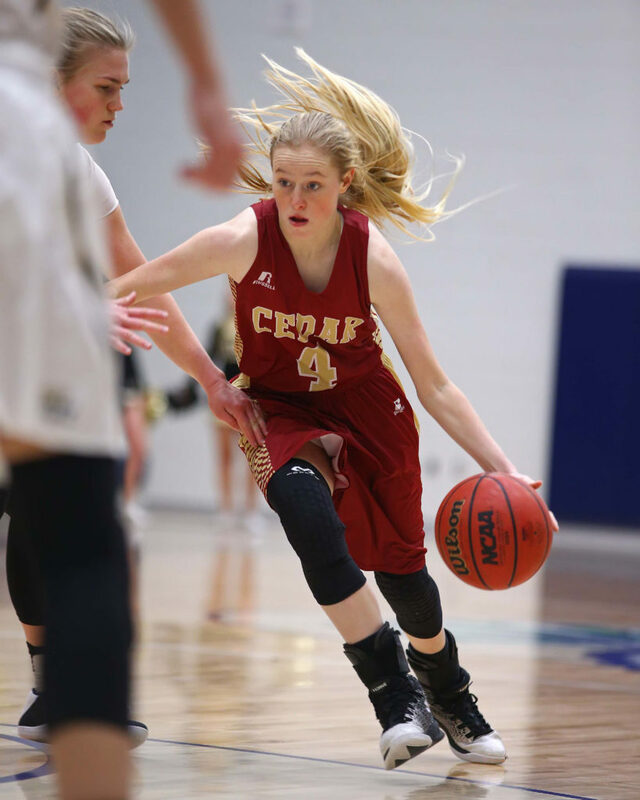 The second team: Maisie Elison, senior, Cedar; Carley Davis, junior, Cedar; Dream Weaver, junior, Cedar; Saraven Allen, junior, Pine View, and Jasmine Lealao, junior, Snow Canyon.